Madhu Pandit Dasa, its Chairman from Nagercoil, is B Tech in Civil Engg from IIT Mumbai. Chanchalapathi Dasa, Vice Chairman did his Masters in Electrical Communication Engineering from Indian Institute of Science, Bengaluru. Abhay Jain, advisor did graduation in Science from St. Joseph’s College and his Bachelor of Law from Bangalore University. Jaganmohan Krishna Dasa, Trustee, holds a Bachelors degree in Electronics and Communication Engineering. Raj P Kondur, trustee has a BBA degree from Georgia State University, and an MBA from Harvard Business School.Ratnangada Govinda Dasa, Trustee; T.V. Mohandas Pai, Trustee; V Balakrishnan are the other trustees. Besides overwhelmingly well-educated, all of them have held high position in blue-chip companies and are on board of profitable institutions. What binds them is Akshaya Patra, the great initiative in providing quality food free to masses. Down South on the banks of river Thamirabarani lies the hamlet Cheranmahadevi, which in someways changed the way children go to school in our Great land……………..……. It is stated that decades ago, the then CM of Tamilnadu Thiru K. Kamaraj saw a boy near the town ofCheranmahadevi herding livestock he asked him, “What are you doing with these cows? Why didn’t you go to school?” The child immediately retorted, “If I go to school, will you give me food to eat? I can learn only if I eat." Unknowingly, this young boy had touched on a critical problem facing the nation’s children: they cannot learn on a hungry stomach. His simple response sparked a series of events which gave rise to the Mid-day Meal Scheme as it is known today. Started in the 1960s in Tamil Nadu, the program was set up to reduce hunger and encourage universal primary education. The key objectives of the programme was to protect children from classroom hunger, increasing school enrollment and attendance, improved socialization among children, addressing malnutrition, and social empowerment through provision of employment to women. The scheme introduced statewide by the then Chief Minister K Kamaraj in the 1960s was later expanded by the MG Ramachandran Govt in 1982. It has been adopted by most Indian states after a landmark direction by the Supreme Court of India on November 28, 2001. 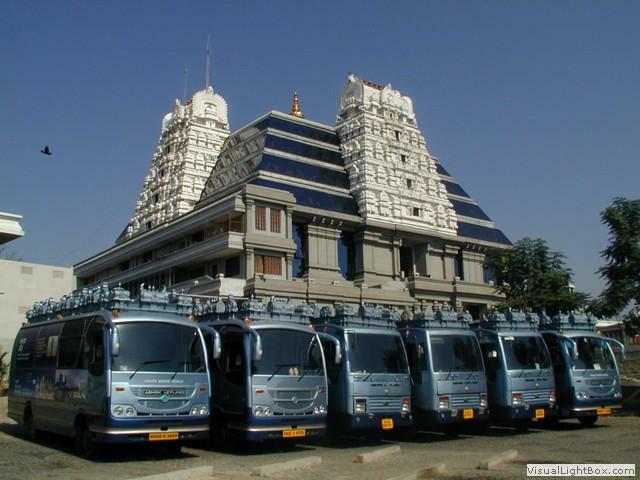 A shining example of how to run the scheme is live at Bangalore – a real story of “Akshaya Patra”, set up by the ISKCON. The photos embedded in this post are that of this institution. Their leader once saw a group of children struggling over scraps of food near a garbage can. Groups like ISKCON, the Ramakrishna Mission, the Sikh langars, the Swaminarayan are masters of cooking and food as hospitality. Welfare schemes need ideas of care, seva, beyond the pinched ideas of bureaucratic charity. While some get too much of mileage of little charity, the works of some remain not so publicized and appreciated – however those service Organisation continue serving the society without expectation of any recompense just as rain serves the land. 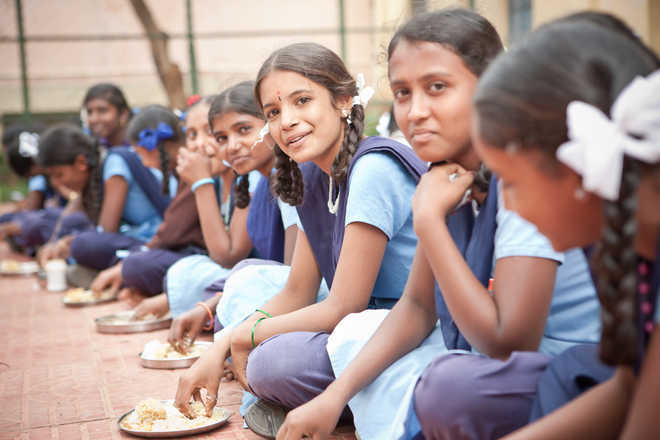 The Akshaya Patra Foundation runs school lunch programs; the organization distributes freshly cooked, healthy meals daily to 1.3 million underprivileged children to over 1.76 million children from 14,702 schools across 12 states in India. For many of the children, this is their only complete meal for the day. It gives them an incentive to come to school and stay in school and provides them with the necessary nutrients — becoming the food for education. 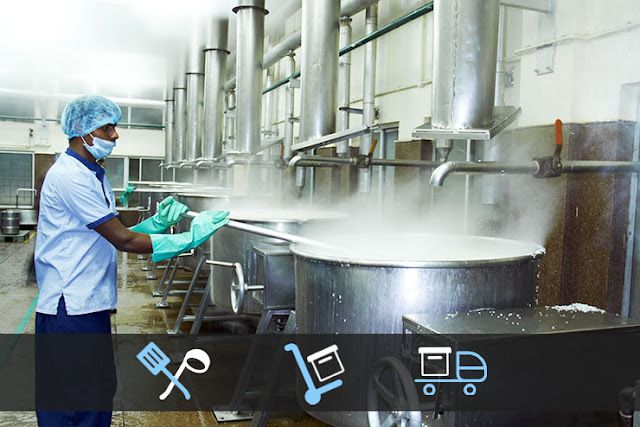 A centralised kitchen helps to manage operations from a single point of control; this includes receiving, storage, preparation, delivery, maintenance, among other processes that form the cycle of mid-day meal operations. Currently, they operate 38 centralised kitchens in 12 states of India and these kitchens prepare mid-day meals for 17,22,959 school children. Tucked away on busy West of Chord Road, the Akshaya Patra kitchen on the Iskcon temple campus is a place where hygiene is non-negotiable. If you are to see this, you would eat here so happily. Akshaya Patra kitchens are technology-driven, which ensures the entire cooking process is untouched by human hand. 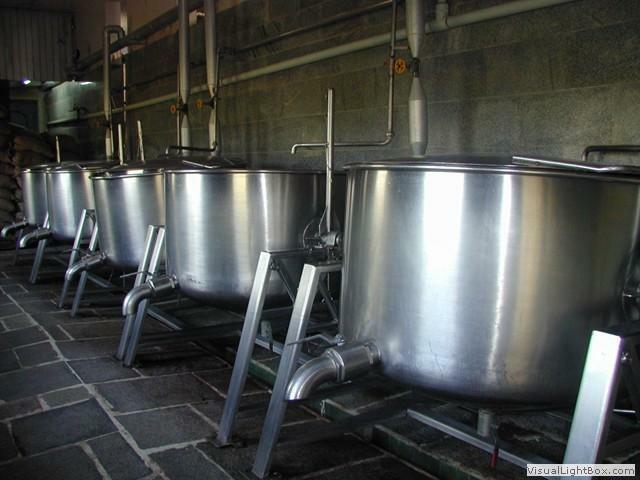 Akshaya Patra centralised kitchens are equipped with cauldrons, trolleys, rice chutes, dal/sambar tanks, cutting boards, knives and other similar equipment that are sanitised before usage. The semi-automated kitchens have the capacity to undertake large scale feeding, typically up to 100,000 mid-day meals a day and they also adhere to Food Safety Management Systems (FSMS) to ensure safe handling, preparation and delivery of the food. Using these highly mechanised units, Akshaya Patra is able to achieve the highest levels of hygiene by reducing human contact with the food. 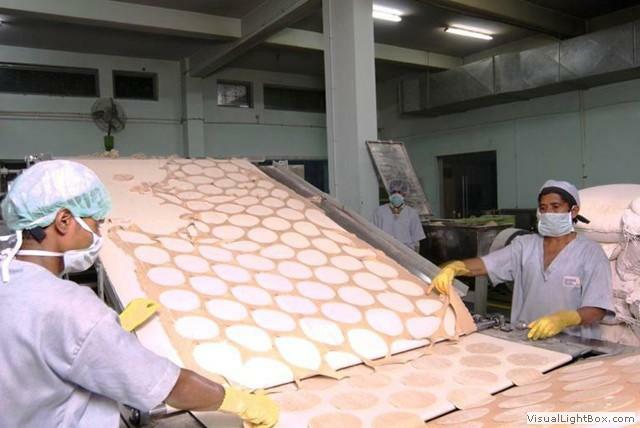 The raw materials that are procured are of the best quality and to ensure this robust Supplier Quality Management System (SQMS) is implemented. This system further consists of a range of examination processes like Supplier Selection, Supplier Qualification, Supplier Rating and so on. In order to make sure that none of the personal hygiene practises are missed out before the cooking begins, each staff member follows a routine hygiene chart. Daily shower, use of clean uniforms, caps to cover the hair, face masks to cover the mouth and nose area, gloves, gumboots, other protective gears and hand sanitisation are mandatory. 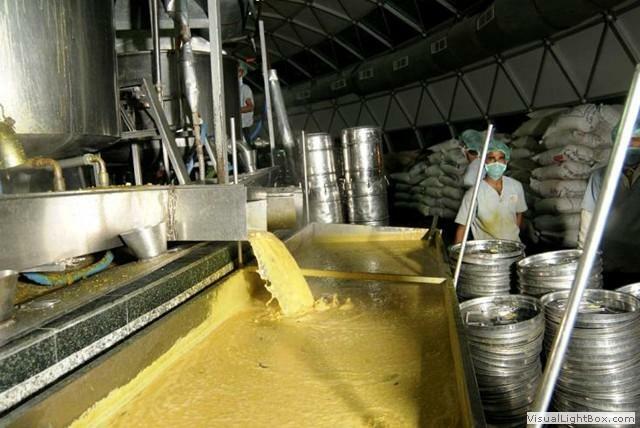 The Quality Control process in the organisation accepts raw materials only after thorough Quality Inspection so as to meet all the requirements of their Raw Material Specifications which are generally adapted from Food Safety Standards Act 2006 (FSSA). Thirteen of the centralised kitchens are ISO certified and the remaining kitchens are in the process of this certification. 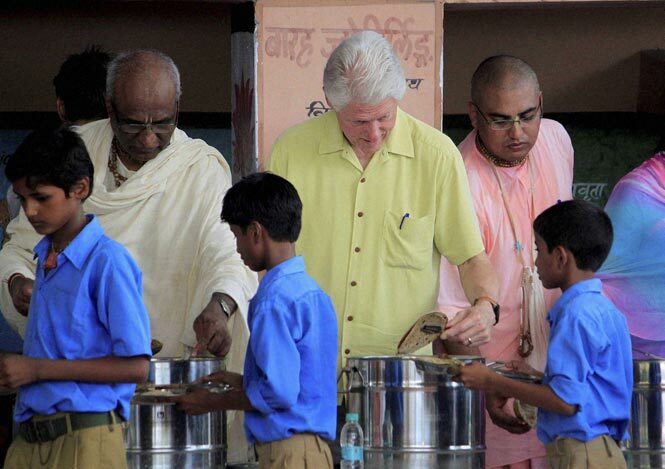 Bill Clinton, former US President serving Akshaya food. Over these years, the foundation has grown to become one of the largest and most innovative school lunch programs in the world. The mission of the organization is to reach out to 5 million children by 2020, and holds to the belief that "no child in Indiashall be deprived of education because of hunger.”. Anyone entering the automated kitchen has to wear gloves and caps, which are not reused. Meals are churned out like clockwork in this kitchen, which was set up 13 years ago, ever since the midday meal scheme began in the year 2000. Never blame the system ~ the intentions are noble – .. .. but read this news report from Indian Express, one would certainly blame the bureaucracy and the politicians in trying to meddle with every good thing. Akshaya Patra Foundation, one of the largest suppliers of mid-day meals in Karnataka, is in a spot over the state government directing it to include onion and garlic in their menu — something they avoid due to their principle of providing only Satvik food which does not include these two in their recipes. Indian Express reports that the officials handling the mid-day meal project in the state have directed the foundation to follow the menu prescribed by the state. But the foundation has not signed the annual memorandum of understanding (MoU) for 2018-19 with the state government, preferring to continue supplying Satvik food. 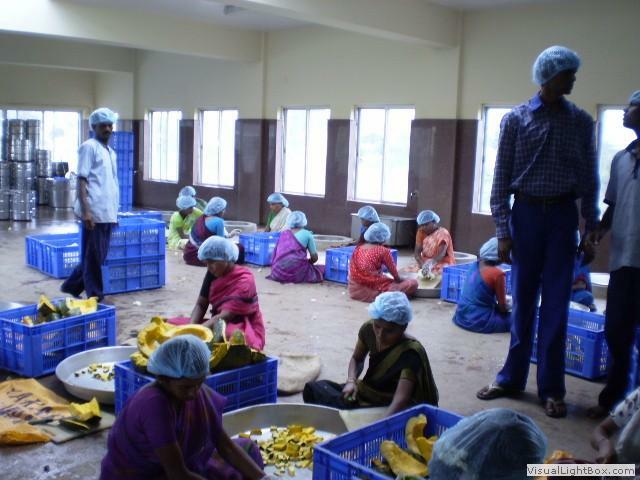 M R Maruti, Joint Director, Mid-day meal scheme, said the Akshaya Patra Foundation had not signed the MoU file.“Recently we issued directions to Akshaya Patra Foundation to include garlic and onion in their menu at least for one day,” he said. According to officials from the State department of primary and secondary education who are working for the mid-day meal scheme, except Akshaya Patra Foundation, all other NGOs and trusts associated with the scheme are following the menu chart given by the State government. Sad ! ~ what is the Govt’s contribution to this scheme and why should try to monitor and control this .. .. .. why politicise this too ? ~ one may think what we should do in this ... .. but mute response of good people affects good deeds and it is our duty to voice our objection. Any way those who spoke elaborately on ‘why only he should decide on what should be in his plate’ or others who speak of Govt interference at the fall of a leaf will choose to be silent when such things happen – because, the recipient is a Hindu religious institution, serving the people. . The JDS Govt of Kumaraswamy backed by Congress is politicising this ..